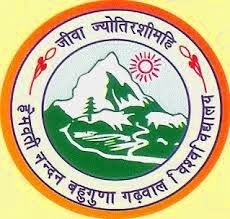 About University: - The Hemwati Nandan Bahuguna Garhwal University is common known HNBGU. The Main Campus of this university is located in the Srinagar Garhwal. And this is one of the main universities of the Uttarakhand state. Every year many of students are enroll in this university for various courses studies. So let we come to the main point about B.A Final Year Examination 2015 results. So here below we are providing you a result link by which you can easily get the BA Final Results 2015. So just click on the given link and then you will reach to the result page, after that fill you examination roll number on given section and finally click to submit. After all you will get your result of BA Final Year Exam 2015. Click here for B.A Final Year Exam 2015 Results. Stay connected with us for more updates about Examination, Results, Recruitment, Uttarakhand News and other. You can follow us from our site and subscribe us through email. And also follow us on Facebook and Google+ to stay updates with us.